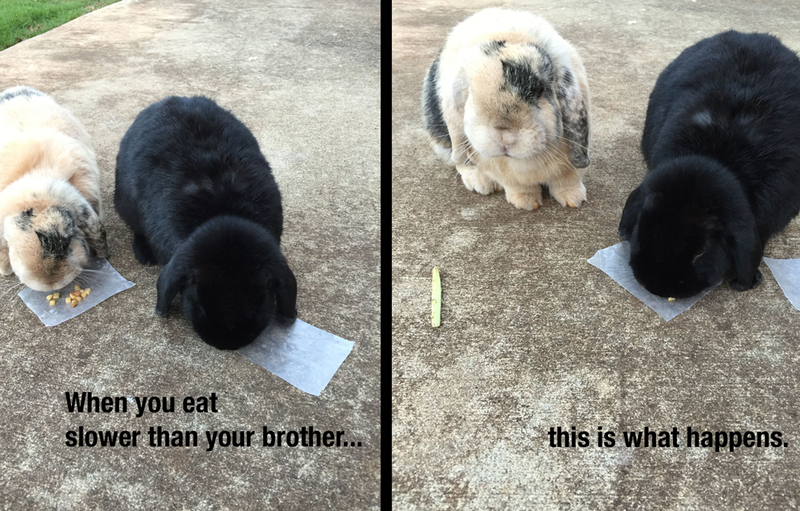 Yes, Mopsie always tries to eat Flopsie’s food too, so he is longer than Flopsie. It’s all a matter of camera perspective. They would make mighty poor eating. So sad… 😦 Need to give Flopsie a ‘head start’… for us slow eaters. Flopsie also tends to get distracted while eating, so he will pause and forget what he was doing. Mopsie vacuums up food without chewing anything.